The SeceuroScreen 38 security shutter is manufactured from exceptionally strong extruded aluminium slats providing excellent resistance to attempted forced entry. * This is a low security option. 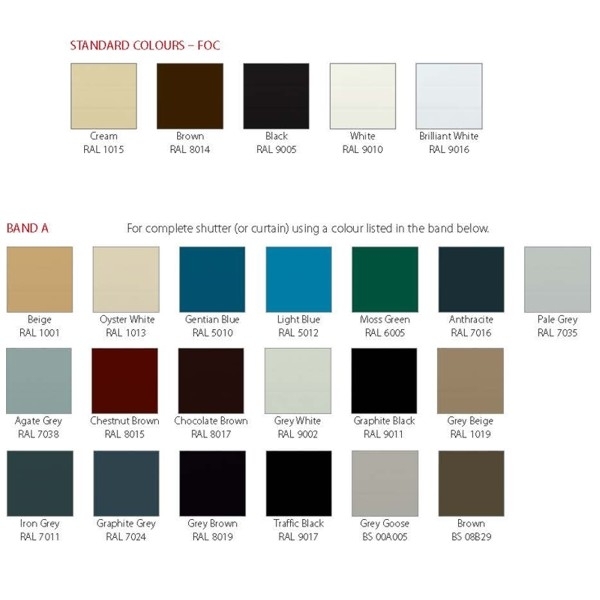 H30 Guides are supplied as standard. H17 and H25 on request. 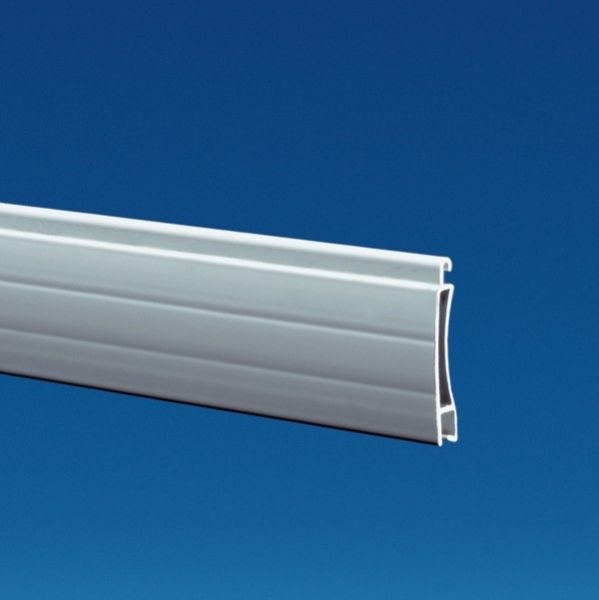 H17 Guide Rails only suitable for internal use only. H40/S Guides are used where additional security is required. 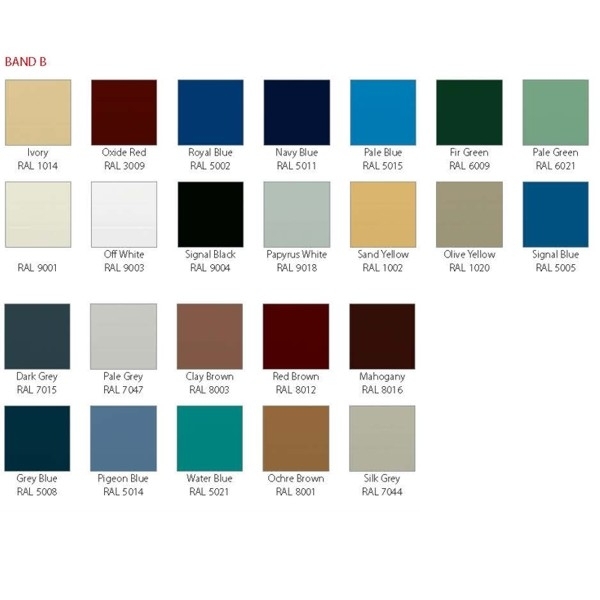 Wind end locks will be fitted to the curtain as standard when this option is selected. Spring loaded for external operation on exit doors, shutters can be spring loaded with a transverse key lock in the bottom slat. 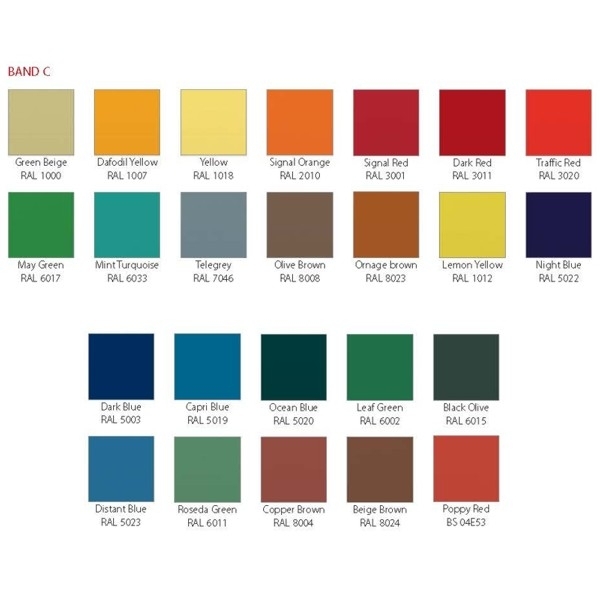 Also a popular option for bar, servery, counter, cabinet and kiosk applications. (N.B. 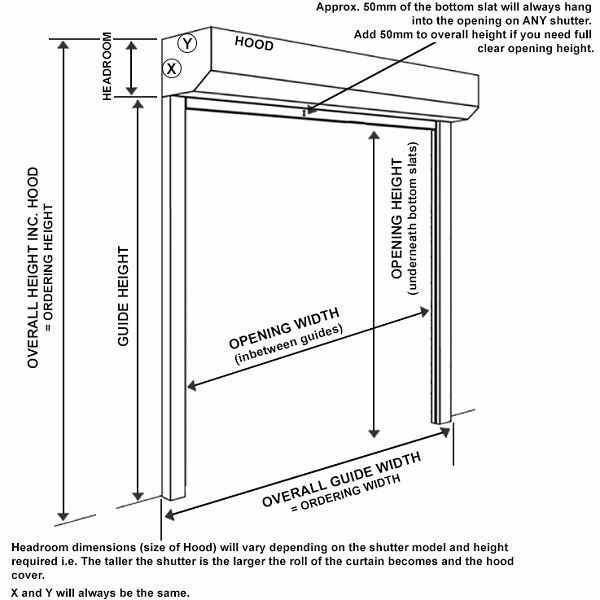 The bottom slat projects below the shutter when fully raised, check that this will not obstruct outward opening doors). New Manual Lock: Orders placed for the Manual SeceuroGlide or Commercial Steel Shutters will be manufactured with a new bottom slat lock. At just 6mm thick this new high quality lock is much slimmer than the current one and so is a neater fit in the SeceuroGlide slat and the commercial bottom rail. It also has a smoother operation than the lock it replaces. The lock can be easily retro-fitted onto existing products using a standard kit of parts. 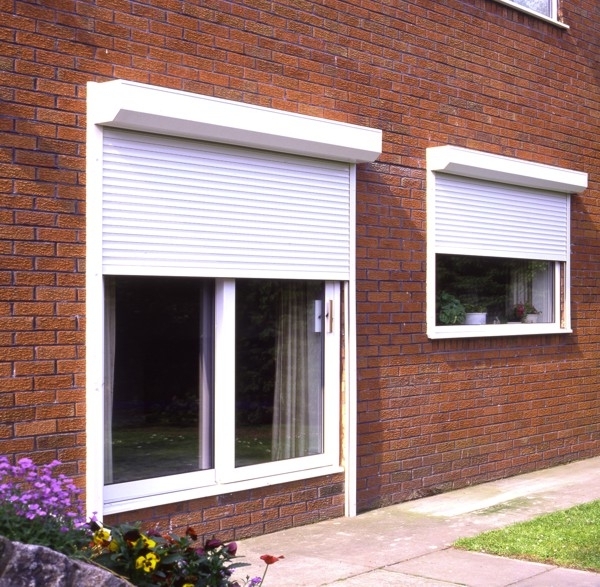 Full installation details provided with every shutter ordered. The operation of the shutter along with the finish of the curtain, guide rails and box is guaranteed for a period of 2 years. The Somfy tubular motor is guaranteed for a period of 5 years against faulty materials and workmanship. 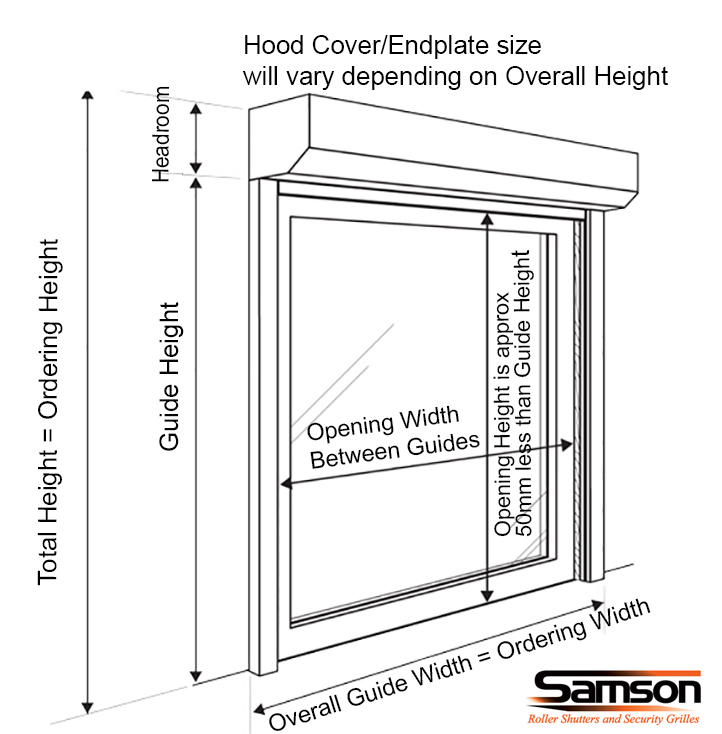 Ordering dimensions are the Overall Width including the guides chosen x Overall Height including the hood size.